Par 3 at Talmadge and Monroe – photos! I never got into photography all that much during my formative years, mostly because I didn’t have a camera and getting pictures developed cost money. It’s far different from the instant thrill of digital photography. When I learned in early 1983 that a West Toledo landmark wasn’t going to be around much longer, however, I went and took some photos: the Par 3 Golf Course on the northwest corner of Talmadge Road and Monroe Street. In January of 1983, The Andersons announced their option to buy the 36-acre site for $2.8 million from the Kaplin family, and the course had one more season in it before it was bulldozed. 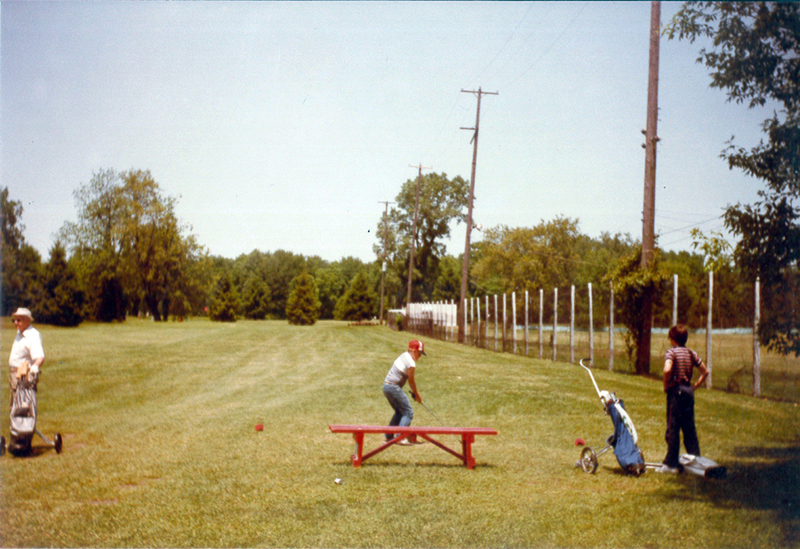 I worked there for two summers: 1982 and 1983, I believe, but nothing more prestigious than driving the cage-covered tractor used to gather range balls as well as performing other minor golf course work. Residents, of course, were not interested in losing the golf course one bit, but progress won out, as it usually does. 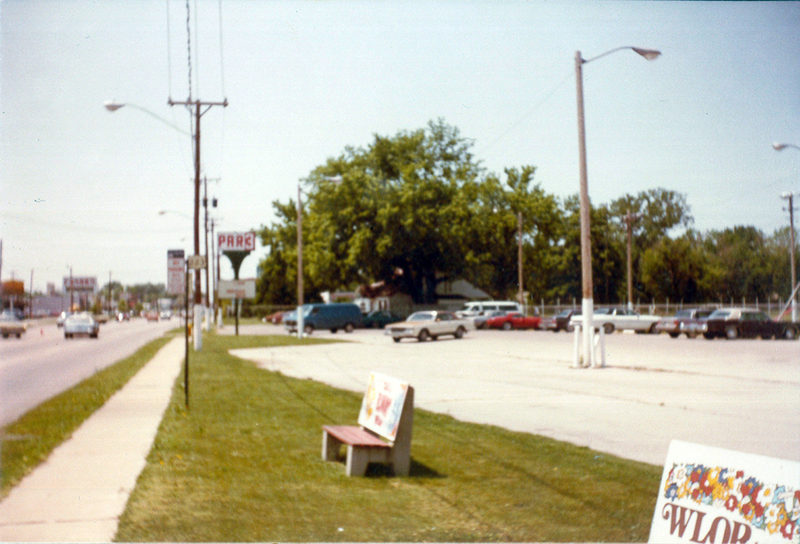 The store opened Aug, 17, 1985, and performed better than expected and probably still is thirty-plus years later. Postscript: I left that in to demonstrate the joke is on me sometimes. To the astonishment of nearly everybody, The Andersons announced on Jan. 15, 2017 that they’d be shutting down their retail operations in 2017. So the site will evidently undergo another rebirth after a run of over 30 years as The Andersons. The Blade, April 7, 1949. Determining when it opened seemed like a hopeless task, but scanning the files of The Blade wasn’t exactly fruitless. The earliest reference I could find to the course’s existence was in 1949, with an ice cream plant and Kiddieland as its neighbors. I did stumble across a 1930 reference in the News-Bee about a “the golf practice course out Monroe street, 1 1-2 miles beyond Secor Road intersection.” Could it be? We’ll probably never know. Most Toledoans will remember Par 3 as the site of the annual University of Toledo Hole-in-One competition, which is also no longer. After Par 3’s demise in 1983, the tournament moved to Heather Downs County Club and didn’t generate the same buzz out there as it did at Par 3 every August. The contest ended in 1991, with The Blade mourning its demise after 38 years. Ad from The Blade, May 9, 1962. But anyway, onto the photos. I’m not going to proclaim these photos to be the greatest. They’re not. The first picture, the photo looking down Monroe Street, was the one I wanted to be the best and it was the worst (blurry). They were scanned from old, faded prints and corrected in Photoshop. 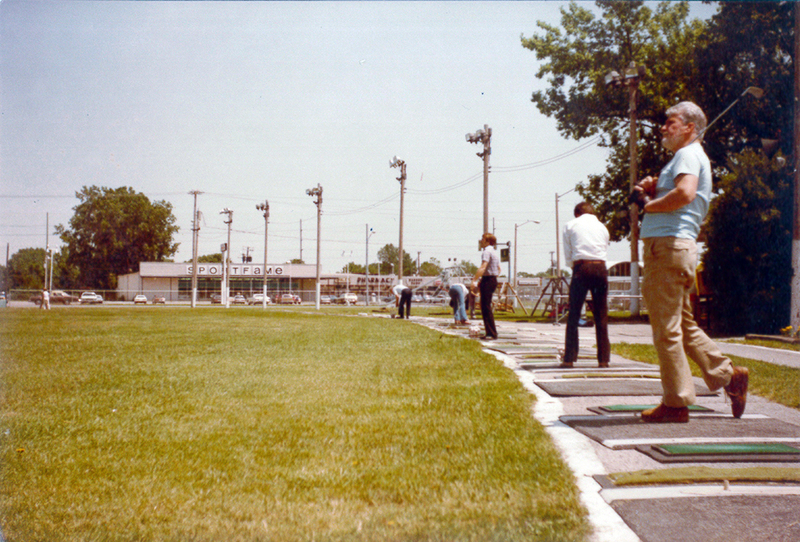 It was fun to scan these pictures in for look back thirty years ago, and recall if only for a moment those fun years between age 18 and age 21, with no more cares in the world than having a few 3.2 beers in the concrete bunker at the back of the driving range and picking up some golf balls later under the lights (certainly COLLEGE didn’t figure into it). Somewhere, I’m sure I have a range ball with a red stripe on it. Par 3 Golf Course, looking northwest along Monroe Street. Photo by the author, 1983. Click for a larger (though just as blurry) version. This view of Par 3 is looking north along the west fence of the driving range. Photo by the author, 1983. Click for a larger version. 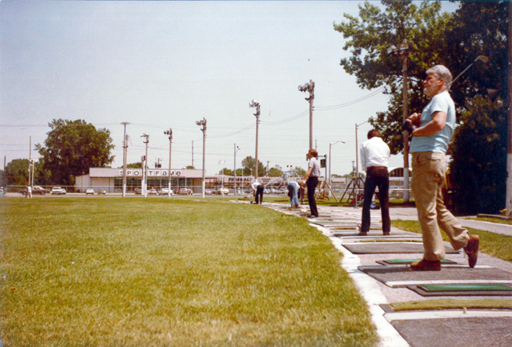 The driving range at par 3 Golf Course. The shopping center, with Sportfame, is across Talmadge Road. Photo by the author, 1983. Click for a larger version. 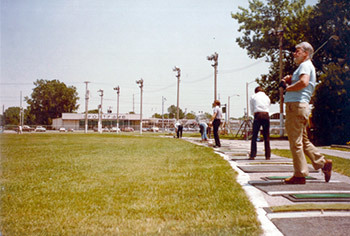 This view is southeast, from the back of the driving range. Photo by the author, 1983. Click for a larger version. 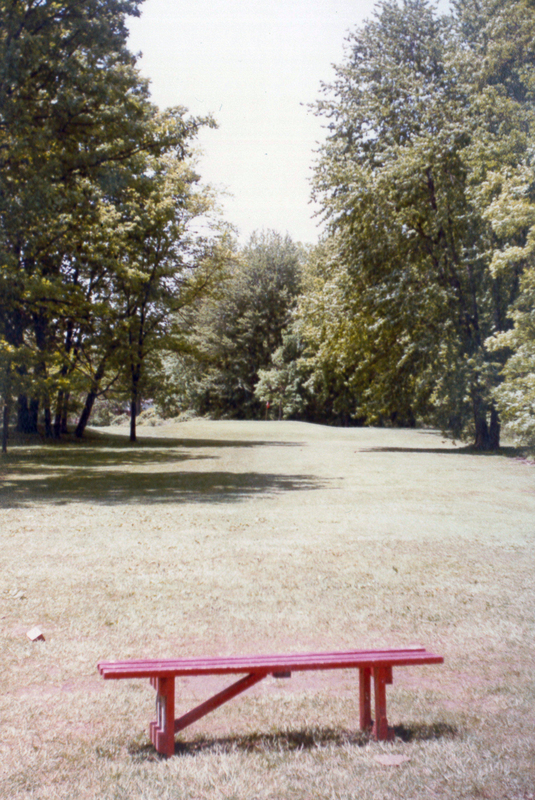 A bench in back of the former Par 3 Golf Course. Photo by the author, 1983. Click for a larger version. 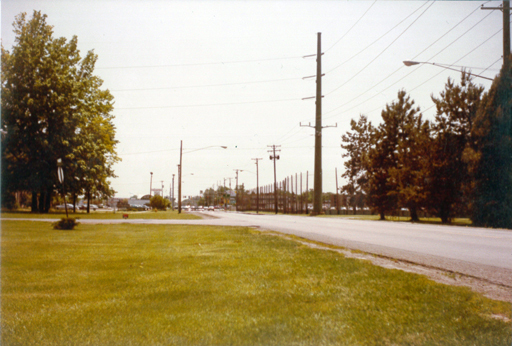 Looking south at the former Par 3 Golf Course along Talmadge Road. Photo by the author, 1983. Click for a larger version. 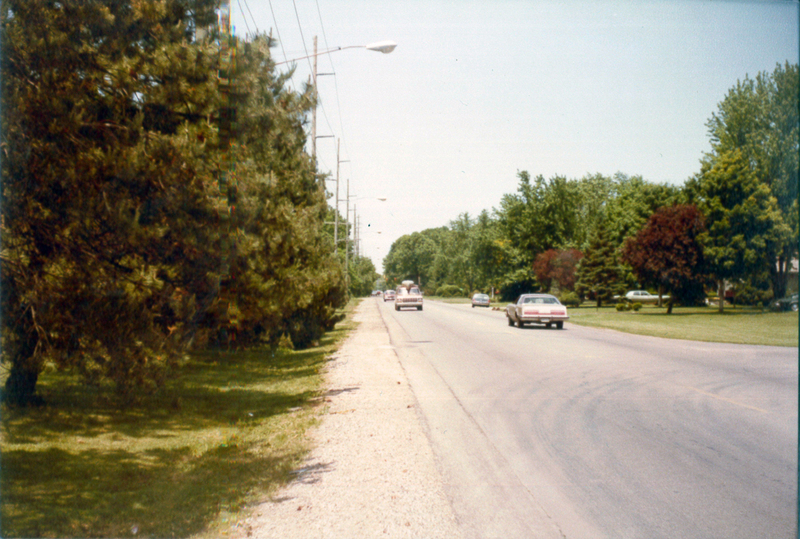 Looking north along Talmadge Road with the former Par 3 golf course on the left. Photo by the author, 1983. Click for a larger version. Previous PostRemember these Toledo restaurants? Great pics. I used to live on Talmadge Green Rd. 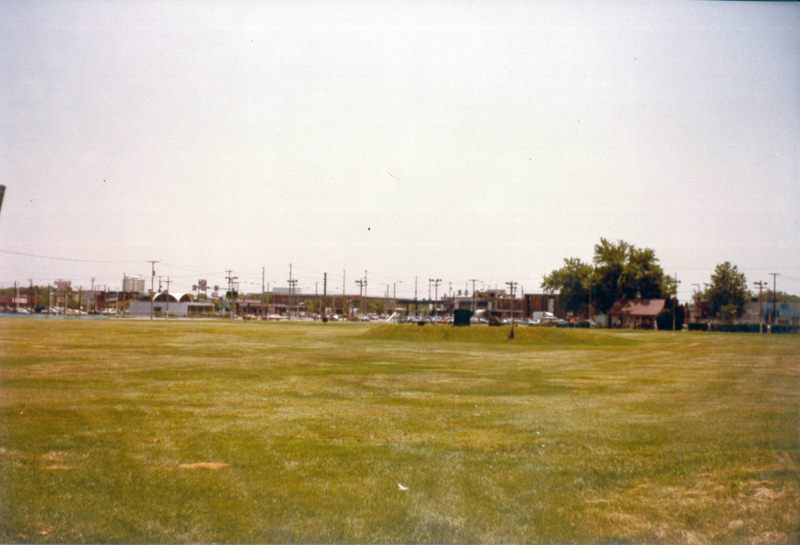 during that time period, which was right behind that shopping center on Talmadge. Been a long time since I’ve seen that Sportfame, lol. Great Pics. Remember the par 3 at the corner of Lewis and Alexis? Yes, my father ran a poultry farm in the 1950s at the corner of Bennett and Alexis. There was a good eatery that had great fish sandwiches on Alexis. I think it was called “Miller’s.” The par 3 course was called Sunnydale, I believe. Or, Sunnybrook, not sure. Any pics of the S.E corner of Monroe and talmadge before the mall? There was a small airport ,franklin ice cream,go kart track, and putt putt golf there. Was like being in the country. Wow my dad was pro there until he went to sunny brook,so nice see the okld photos. Another vacant building in this 3rd world city.